* DISCLAIMER: All information including our ICO rating, is provided merely for informational purposes. ICO Finch does not provide investment advice (read more). 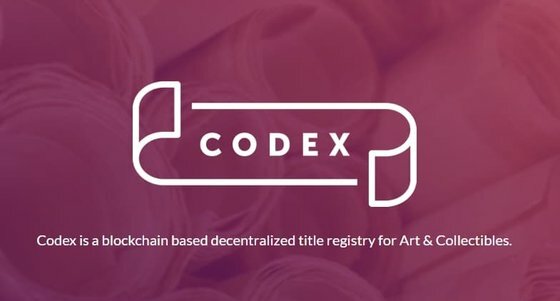 Codex Protocol is an industry backed decentralized title registry for Art & Collectibles. Codex stores ownership + provenance while ensuring privacy. ICO Finch is an independent ICO listing and rating platform, not affiliated with any ICO project or company. All information provided by us serve informational purposes only.